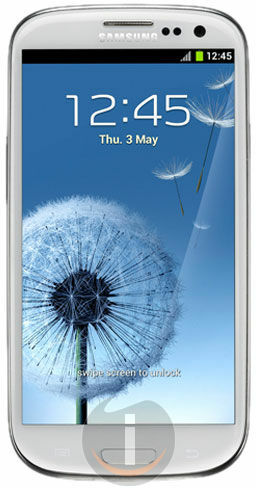 The Samsung Galaxy S III 32 GB is not just a phone but it’s a Smartphone. This phone has it all…it’s got design, speed, style, functions and applications. The phone works at super-fast speed; as it is built on the finest operating system, the Android 4.0 (ICS)and is powered by Quad-core 1.4 GHz Cortex-A9. The beauty of the phone lies in the 4.8” HD AMOLED screen, which has 720x1280 resolution and 16M colors.we’re talking about…it’s smart phone...it’s Samsung GALAXY S III. 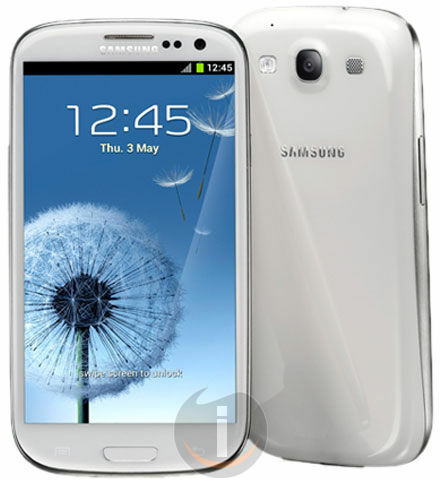 Samsung Galaxy S III is a total solution provider, when it comes to connectivity. It understands the need to be connected to the internet when on the move. It is enabled with the wireless Wi-Fi technology. It even supports Wi-Fi hotspot functionality, which lets you connect other devicesalso to the Wi-Fi network. To enhance your experience, the phone is preloaded with various applications such as Gmail, Google Search, Picasa integration, Calendar, Maps, YouTube and Google Talk. 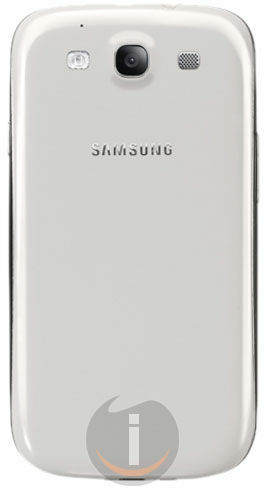 Samsung GALAXY S III sees with the eye of its front camera whether you’re reading an e-book or browsing the web. As long as you continue with your work, it keeps the display bright! So enjoy the visual experience. 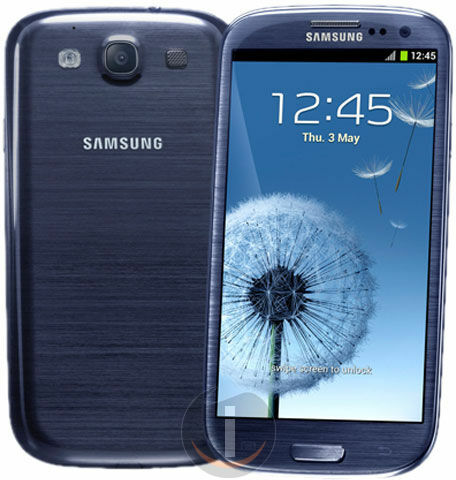 It alerts you about all the calls and messages you missed while you were away from your Samsung GALAXY S III. If it takes responsibility for doing something, it also fulfills it. The Samsung Galaxy III is so smart it even understands when you would like to talk to someone. Suppose if you are sending SMS to someone and suddenly feel you would rather call them, just place your handset to your ears and the Direct call feature will do the needful. It allows you to be updated with the events and circumstances which frame the lives of your loved ones. All you need to do is to link their faces in your photo album with their social media streams. 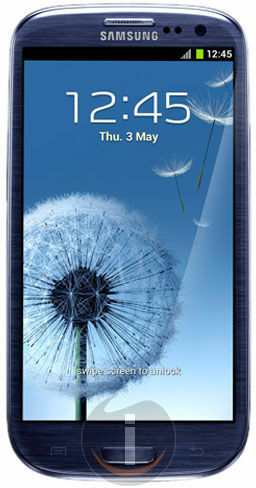 Samsung GALAXY S III has the intelligence, which lets you interact with it. Answer or reject calls, set the alarm, shoot with the camera or increase or decrease the volume. All this... do it just with your voice. This Galaxy phone allows you to share your content – be it videos, music, documents, contacts or anything else - in a bother-free manner with your friends if they are close at hand. All you have to do is to keep the backs of your phones in touch! With the AllShare Play application you can access documents, multimedia files, etc through Wi-Fi Direct and DLNA, no matter what media you're using and what media contains the info youwant to access. This accomplishes connection across different devices for your convenience. Staying connected is one thing, and to do things faster online is quite another. This pioneering technology runs so fast - 30 to 60 megabytes per second - you will be pleasantly surprised. So enjoy faster video streaming, faster content upload and lots and lots of fun playing games online! 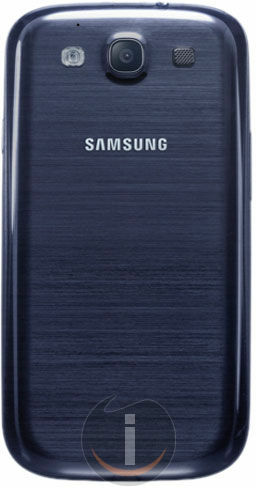 Now you can instantly share your photos with all your friends with this Samsung Galaxy S III. You can even set up group profiles, and then the Buddy photo application uses it as a referencepoint to recognize people contained in the profiles and link them for you. Imagine playing that mobile phone game on your big screen! You can now wirelessly transfer what's being displayed on your phone's display to a larger screen. Moreover, you can control it with the buttons of your phone. And, last but not the least; it captures images in a set of 8 shots so you can select the best of the set. Multitask! All is possible with the Pop up Play feature. You can split your display screen to watch video in one and attend to your emails in another.You can even resize and re-place your HD video where you want it to be. So, enjoy the best of both worlds. It’s a superb phone, I have enjoyed every bit of this phone. Though in the beginning I thought I spent a lot on this phone but its been worth the money. Each application, function, feature is so useful and easy to use. It’s like the phone completely pampers you. It does it all for you. Very nice phone. I heard a lot about the Galaxy phone the 16GB variant, and I m glad I bought this one. The phones display is large and bright. The speed is excellent. The various features…the only thing I can say is WOW! The AllShare application is really cool, my work is never stuck. So, is the All Share cast, I have thoroughly enjoyed playing games. This is a superb phone, totally worth the money. This phone has a nice, large and bright screen. Excellent features, which are fun and also are very useful in day to day routine. Battery is powerful and what can I say about the space. i just keep saving all my songs and games and so many applications but no memory issues. Thanks to the 32 GB. Good phone. Worth the investment. The features and functions of this Samsung phone are superb. The Direct call application is really cool. I like reading books and on this phone its fun and comforting to the eyes too. I don’t even have to touch the phone and everything is handled with simple voice commands. The phone works wonders. Excellent memory capacity of 32 GB, it is something which is very imp. As the applications are so much tht one day, though it will take long, even this 32 GB mite be less. One of my friend had bought the earlier version of 16GB handset from Infibeam.com and he was very happy with it. I had also used his phone a couple of times but somehow I was not for the memory capacity, but when I heard the 32GB is launching, I grabbed the opportunity and bought the asap. This is a superb phone specially the mind blowing functions and all work well. Its not that the function is there for the heck of it. I m enjoying it and its helpful personally and professionally.